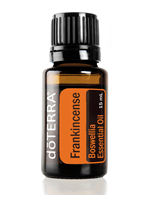 Perhaps the most precious of the ancient oils, Frankincense is highly sought after by modern consumers for its many uses, including relaxation, healthy cell function,* and mood enhancement. Boswellia carterii, frereana, and sacra. For aromatic, topical, or dietary use.